when it comes to road-going vehicles, carbon fiber is a symbol of luxury as opposed to actually having gold or precious stones stuck on them. 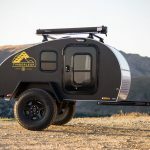 not that you can’t have it all gold, but carbon fiber is lightweight and strong which spells practicality for automobiles – especially so when you are towing it like the GCT CR-1 Carbon Fiber Camper Trailer will be. 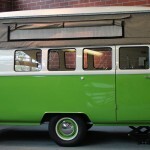 we are not incline to call it a RV, or recreational vehicle cos’ it is essentially a lengthen camper, which we are perfectly fine with btw, but the letters RV tends to conjure up an image of self-propelled vehicle. 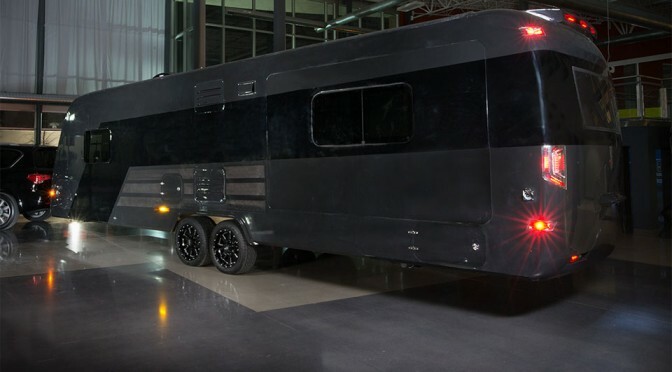 anyway, here it is, the world’s first camper constructed entirely of carbon fiber which the company, Global Caravan Technologies, anticipates a base weight of around 6,000 lbs (2,720 kg). 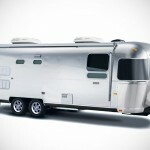 not bad for a massive 35-foot (10-meter) long trailer. it has a bonded structure which means it is as stiff as it can gets and also locks out moisture, thus boasting the product lifespan. key features include custom luxury automotive designed exterior lighting, carbon fiber doors with marine hardware, a carbon fiber and leather interior, a large rear lounge area which also doubles as workstation, full-height closets, walk-through master bath, and a flush-body design for enhanced towing, better clearance and maneuverability, which you definitely going to need. 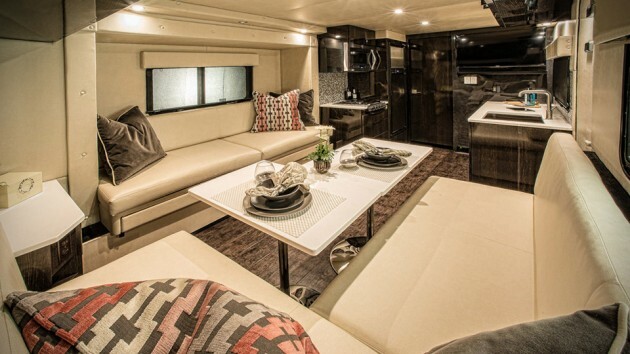 but those are not it has; further options are available to make your camping an even more glamorous one, including system control using smart mobile devices, adjustable tint privacy glass, up to 700W solar system, integrated generator, run-flat tires and more. basically, this is the high-rolling camper that wants you to travel/camp in high style. 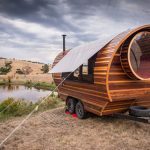 like most RV, the CR-1 is not going to be cheap. production version will start around $170,000, but will cost as much as $770,000 for a top-of-the-line, full customized model.